Tottenham and England right back Kyle Walker haws unveiled through Twitter about his new boot deal with Nike. After three years with Umbro Walker has made the switch to the Big Swoosh. Walker was seen wearing the illustrious Mercurial Vapor VIII in training but has said that he will be wearing the T90 Laser. It was just a matter of time before Walker would move away from the struggling Umbro brand. Walker has worn several Umbro boots including the GT Pro II and Stealth Pro II. He has shown on Twitter that he will be wearing the Nike T90 Laser IV boot which is worn by many defenders in the Premier Leagie including Manchester United’s Rio Ferdinand and Rafael. 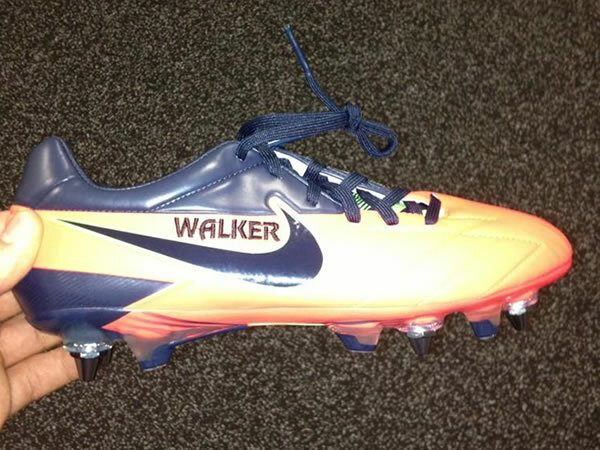 Walker who is one the most promising defenders in English football may wear the Laser Iv in the coming weeks.